Although Rolls-Royce seems to prefer the label “high-bodied car”, the British luxury automotive company has confirmed it is building an SUV. While this would not be notable news for the majority of automakers, it is groundbreaking for Rolls-Royce because this is the first time in the automotive company’s 111-year history it will produce an SUV. 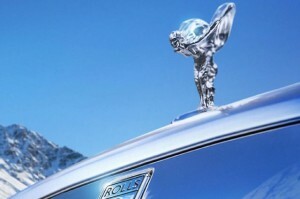 Not only that, Rolls-Royce’s new model will feature an aluminum body which some might label a risk based on how little we know about the performance and maintenance of aluminum-bodied vehicles up to this point. It is unknown whether Rolls-Royce has been planning an off-roader for some time now or if the company is simply making an effort to rival luxury automaker, Bentley, currently building its Bentley Bentayga SUV. it is very heartening to note that Prestigious Rolls Royce is now rolling out its first SUV in its 111 years of dynamic and classic history. We all SUV and 4×4 enthusiast look forward to it.